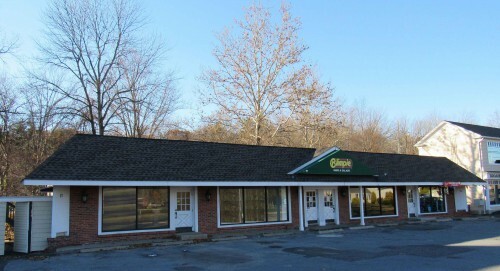 DETAILS: 17 Danbury Road represents a unique opportunity to lease retail space in Wilton, CT, one of the wealthiest towns in Fairfield County. The property is located in South Wilton close to the Norwalk city line. Danbury Road is a main thoroughfare, with a daily traffic count of 30,000+, according to the CT DOT. This location is further validated by Gateway Center, a 75,000 SF shopping center located directly across the street, hosting national tenants such as Michael’s, TJ Maxx, Outback Steakhouse, GNC and Boston Market. Local demographics are also very strong; within a 5-mile radius the population density is approximately 128,016, with an average household income of approximately $169,191 per annum. The property has been extensively renovated by current ownership, with about $235,000 invested in capital items over the last few years. Contact us about 17 Danbury Road.